Ohio Star Quilts is Now Hiring! 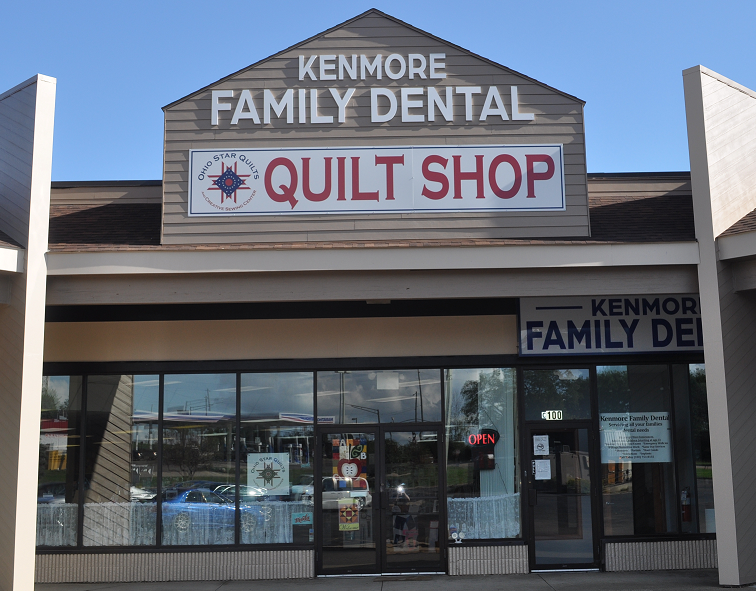 Ohio Star Quilts is a small quilting specialty store located in Akron OH. 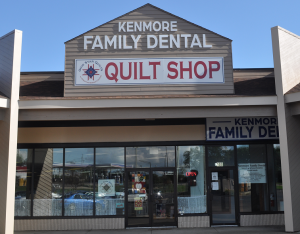 We offer fabric and supplies for quiltmakers as well as quilting services, classes, and expertise to quilters in Northeast Ohio. Associate will be responsible primarily for helping customers, including aiding in fabric selection and measurements, cutting fabric off the bolt, and checking out customers in the point of sale (POS). Other duties will include receiving in and maintaining inventory, restocking shelves, creating item displays and seasonal displays, basic cleaning (vacuuming, dusting), and other duties as requested. More than anything, Ohio Star Quilts is committed to being a friendly, welcoming environment for all quilters. Applicant should be willing to provide guidance and encouragement for customer projects and be willing to learn about the art of quilting to better assist customers. Able to be on feet for duration of shift; Able to climb ladders; Able to lift 30 lbs. Use of rotary blades requires repetitive movement in the wrists and hands. To apply, fill out an application online or in person. Application found here. 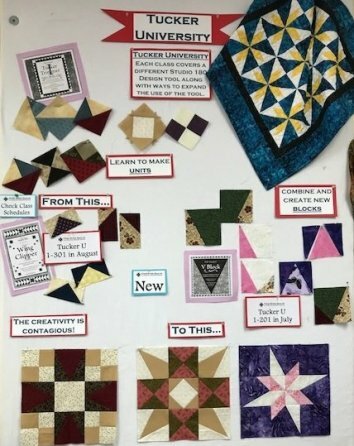 Regardless of where you are on your quilting journey, at Ohio Star Quilts, we strive to ensure you are learning new techniques in every class. Sew, back to school, we go with Tucker University! This is a series of technique classes learning to use Deb Tucker’s Studio 180 Designs rulers. Come with Dee as she teaches you easy ways to do all the basic units common to many traditional quilts. These basic units can be made in many sizes and are used in many different blocks. Classes are technique sessions - so you won’t have UFOs. 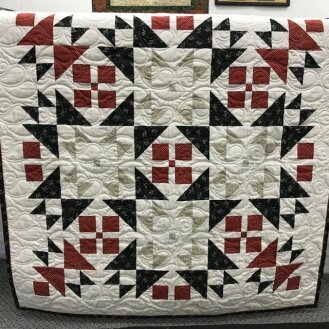 You will use the basic units to build block sections while also enhancing your skills in quilting. These rulers are adaptable to many patterns and don’t have to be used only on Studio 180 Design patterns. Class materials, in addition to the ruler, include Technique sheets which explains how to use the system and Design sheets that help you understand color placement and use of your units. Both sheets are laminated and hole-punched for repeated use and reference. This is a 12-month program, month one being the most important as an introduction, then you can choose all or part of the next several months in the series. A new series of technique classes will begin in January 2019. Come join us!! Click here for more information on the Tucker University classes.